Explore these interactive resources specifically tailored for children in recreation settings. 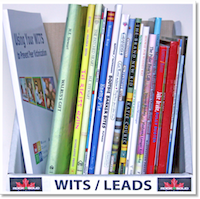 The WITS programs can be a powerful influence in after school centres, daycares, and day camps. 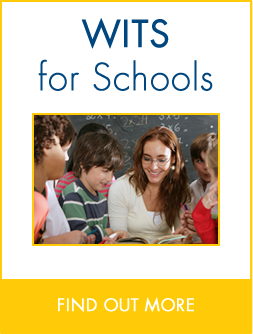 When the common language of WITS is reinforced in places outside of school, there are more chances for children to successfully use their WITS and become WITS LEADerS! Become an S-Team Hero by playing this interactive game which puts you in bullying situations where you have to use your bullying smarts to get out of and talk it out. The Webonauts Internet Academy is a interactive game created by PBS that helps to teach kids how to make responsible and respectful decisions online. In Media Smarts’ Allies and Aliens children become agents on an intergalactic mission for earth. As children interact with alien characters and visit websites on the “Galactic Web”, they come across varying degrees of prejudice and discrimination. These interactions help children to understand how such messages can promote hate. 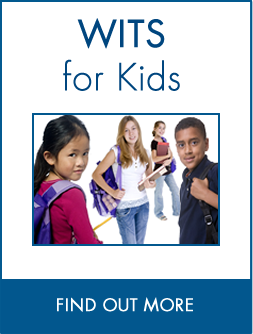 Share the collection of WITS certified books and activities with children to learn about constructive strategies to use when facing conflicts or bullying. 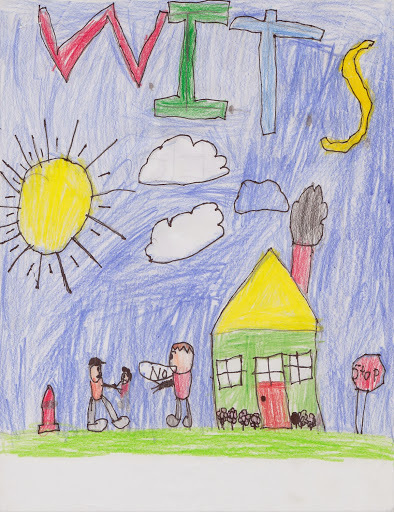 Encourage children to draw pictures of conflicts and bullying situations. Ask them to share what’s going on in the picture with you and their peers. Brainstorm potential WITS strategies to deal with the depicted incident. Divide children into four groups. 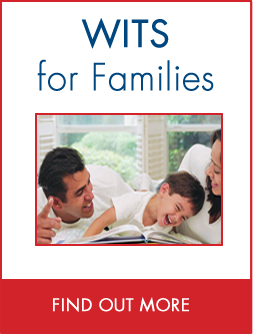 Assign each group a letter, ‘W,’ ‘I,’ ‘T,’ or ‘S’ and provide each group with a large square piece of paper. Then have each group illustrate on their paper what their letter from the WITS acronym means to them. Once finished glue or tape all of the pictures together in the shape of the WITS logo and display proudly! 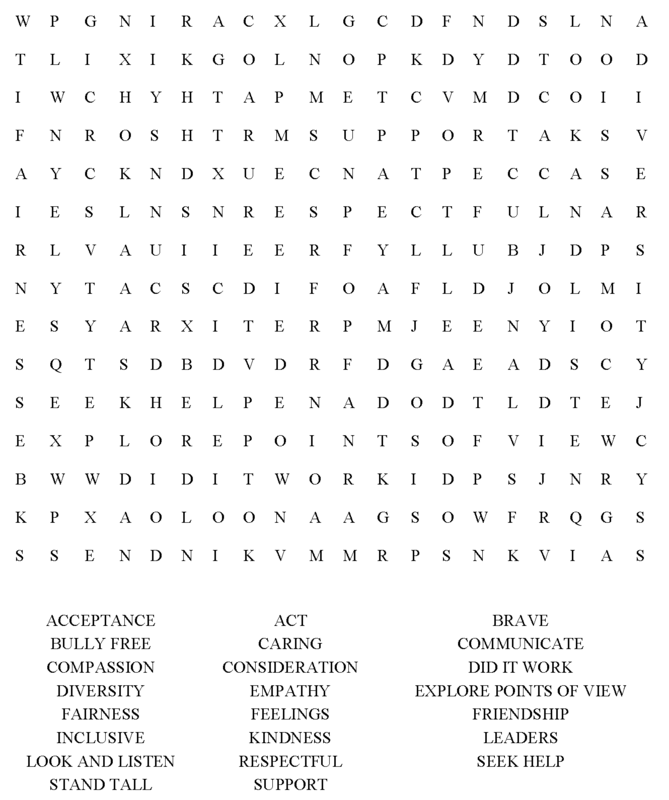 Photocopy and distribute this word search to younger children. 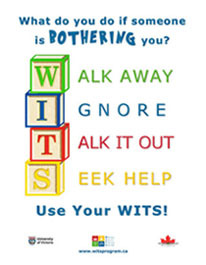 Find WITS and bullying related words with a focus on positive words that can help to prevent bullying. 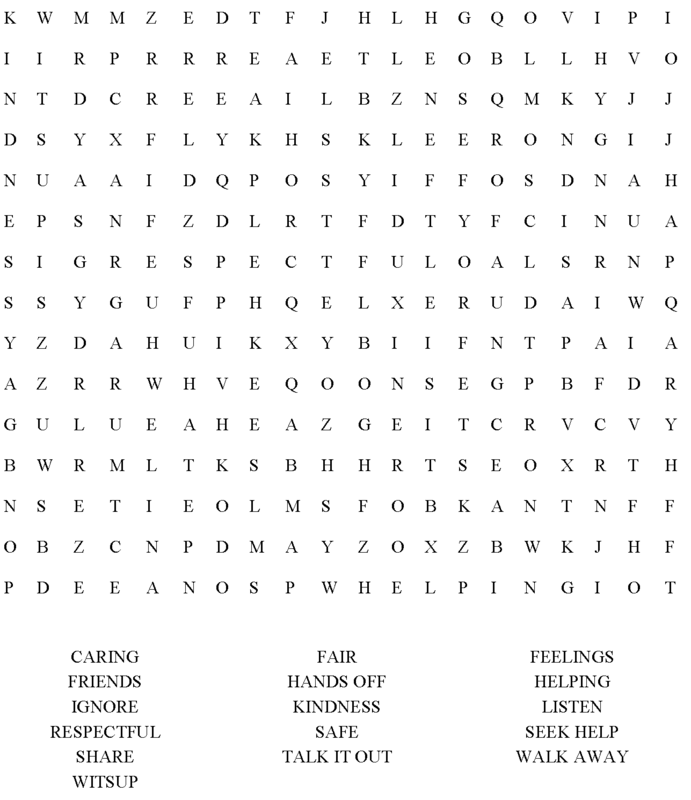 Photocopy and distribute this word search to older children. 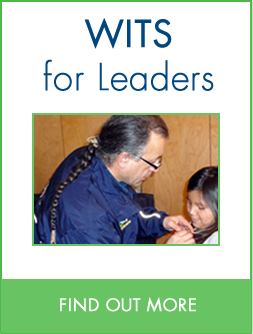 Find LEADerS and bullying related words with a focus on positive words that can help to prevent bullying. A resource activity developed by the Kentucky 4-H Foundation to learn about different types of bullying and their impact. The activity also looks into how differences (gender, generational, social) can affect perceptions of bullying behaviours. Tip: Start off with only a few terms and explain them to the children thoroughly and gradually build up the number. Activity is also more effective in multi-age groupings. Kentucky 4-H Bullying – What is It? 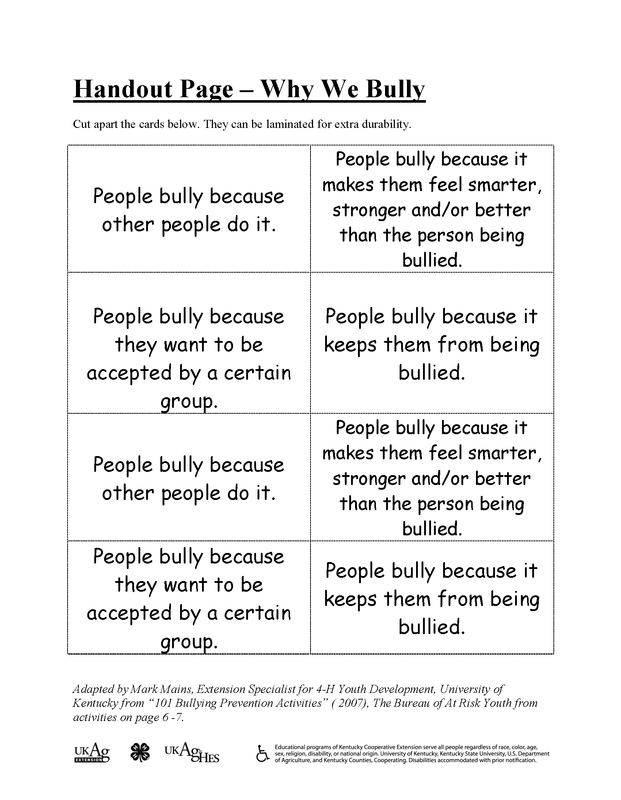 A resource activity developed by the Kentucky 4-H Foundation to discuss different types and ways bullying can occur and attempt to create a general definition of bullying. Tip: Activity is more effective in multi-age groupings. 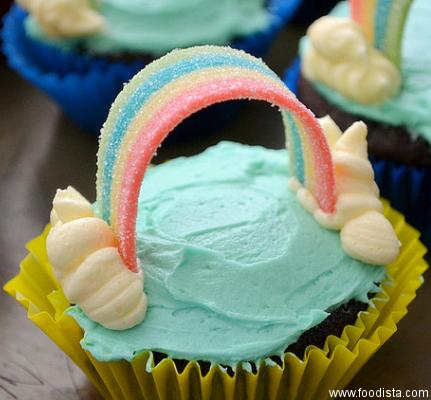 Show off the red, yellow, green, and blue WITS colours with these rainbow cupcakes courtesy of foodista.com. For an added twist add a couple drops of red, yellow, green, or blue food colouring to different batches of cake mix! A favourite for Herb the Vegetarian Dragon alongside his butter, leek, onion, and potato soup. 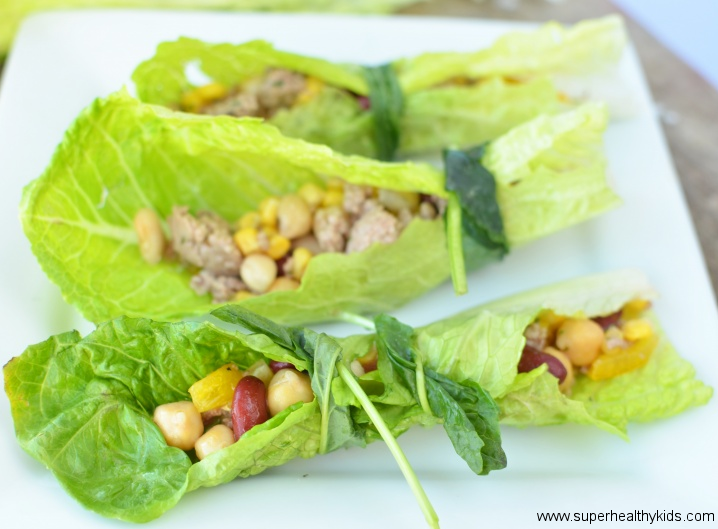 These hands on healthy treats are the perfect way to make friends with salad. 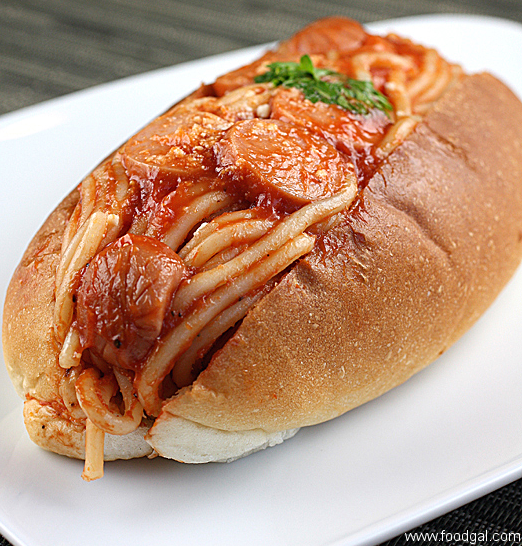 Lucy from the book Spaghetti in a Hot Dog Bun is one of a kind but you too can have spaghetti in a hotdog bun. Cook spaghetti noodles according to their package while in another pot cook spaghetti sauce and cut up hot dog pieces. When both are cooked mix them together while opening the hot dog buns and optionally broiling them for a few minutes to toast them. Scoop the spaghetti into the buns and you too can eat like Lucy! 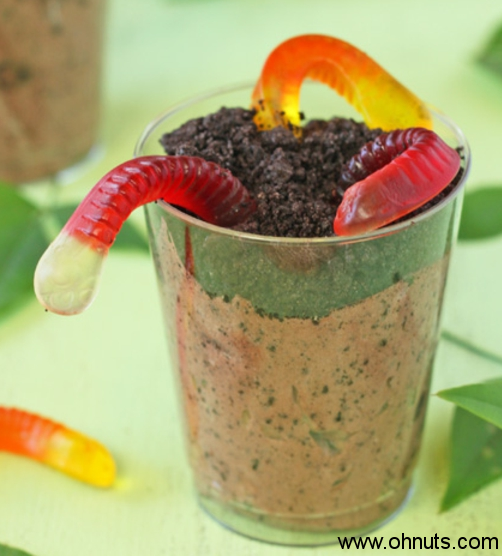 While the recipe in the book Enemy Pie calls for spending the day with your enemy as a way to make friends with them these Enemy Pie Cups are another great way to make friends! Or just to enjoy yourself. 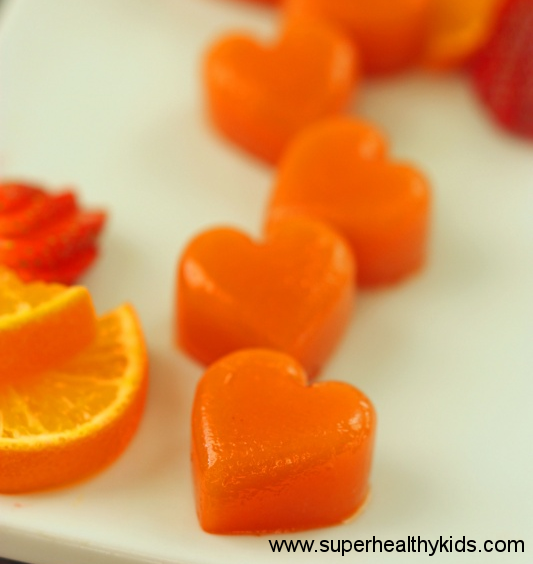 A fun, healthy fruit snack that utilises the strawberries that convinced the women to stop and taste them in The First Strawberries. Cut up an apple into slices to act as the lips (make sure you pay for it like Mr. Peabody does in Mr. Peabody’s Apples!). Spread peanut butter or cream cheese on one side of each apple slice. 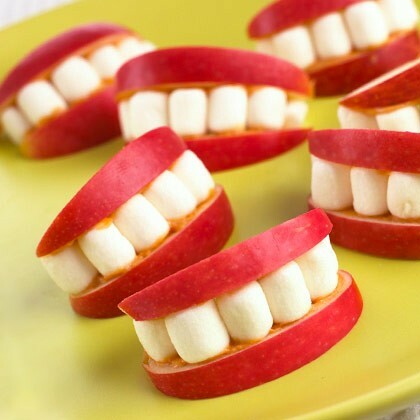 Place yogurt covered almonds or mini marshmallows on top of an apple slice to act as the teeth and top with another apple slice. If apple pies are more your thing try this three minute recipe in spirit of Mr. Peabody’s Apples. 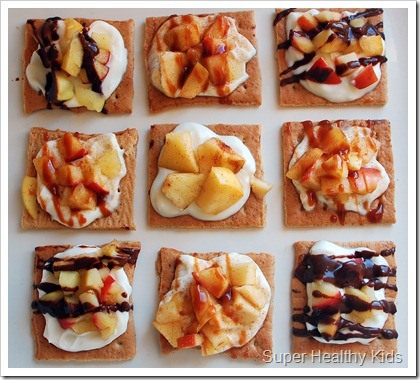 Using Graham Crackers instead of a pie crust these finger food treats give you the enjoyment of eating hot apple pie without the mess of baking a traditional one. 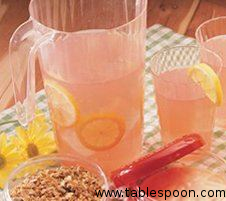 You can share The Boy with Pink Hair’s talent for making amazing pink food with this recipe to make your own pink lemonade. 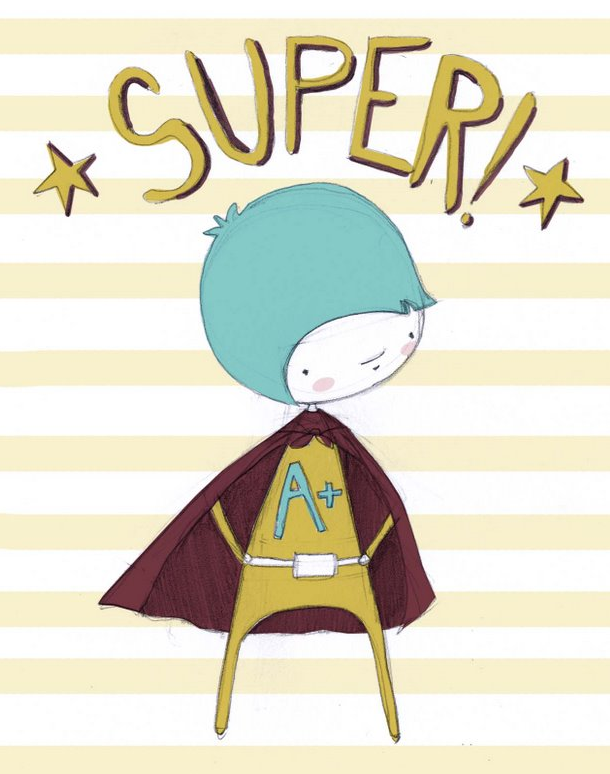 Made for both boys and girls to help challenge stereotypes. A collection of WITS and LEADerS specific posters that can be printed off. 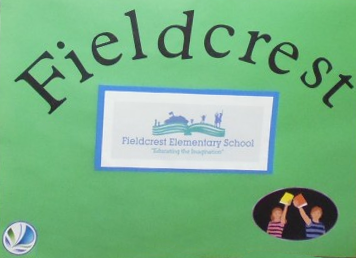 A collection of fantastic behavioural reinforcement activities assembled by Fieldcrest Elementary School in Bradford, Ontario. 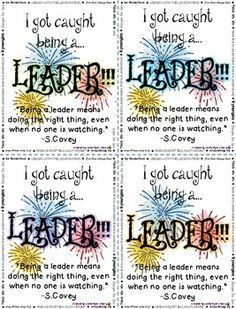 Hand these out to children to reinforce positive behaviour when they are caught being a leader or being good. Printable books and posters providing lessons on anger management for kids. 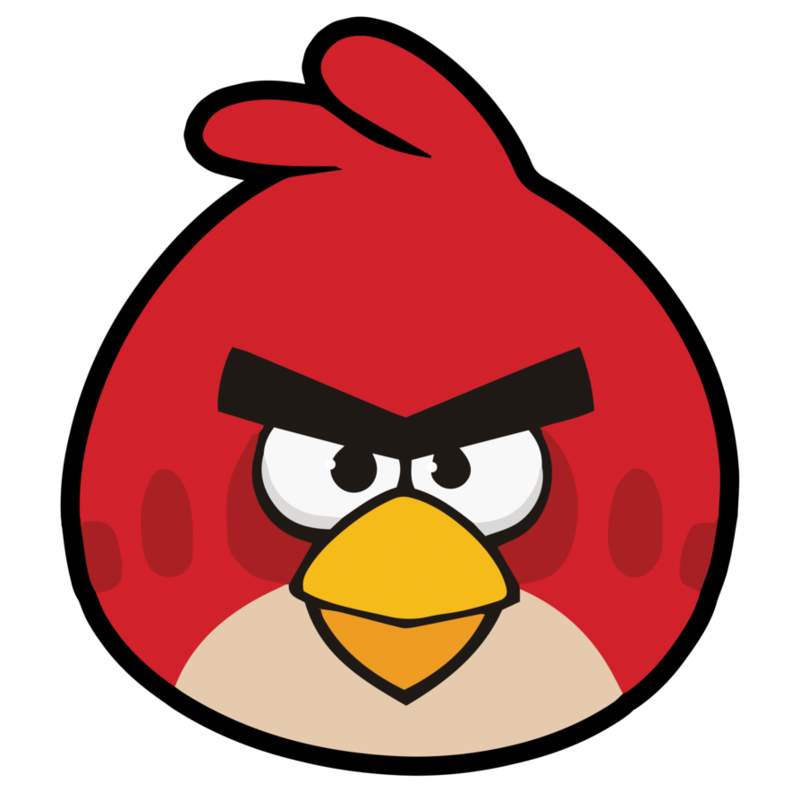 Resources are based around the video game “Angry Birds” to make them more relatable for children. Charts to track good behaviour in children. Add a star to each box when good behaviour is noticed with the chance of a prize once all 100 boxes are filled. 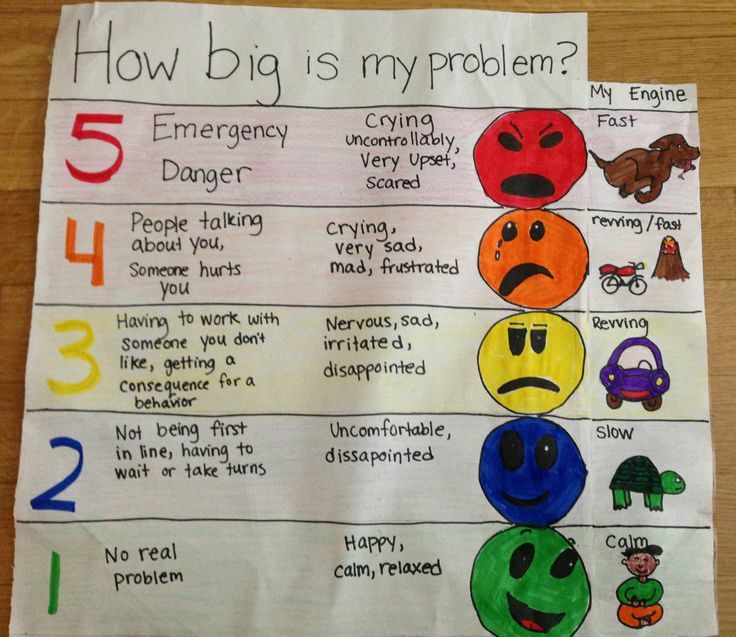 A great way for children to relate to what kind of response their problems merrit. 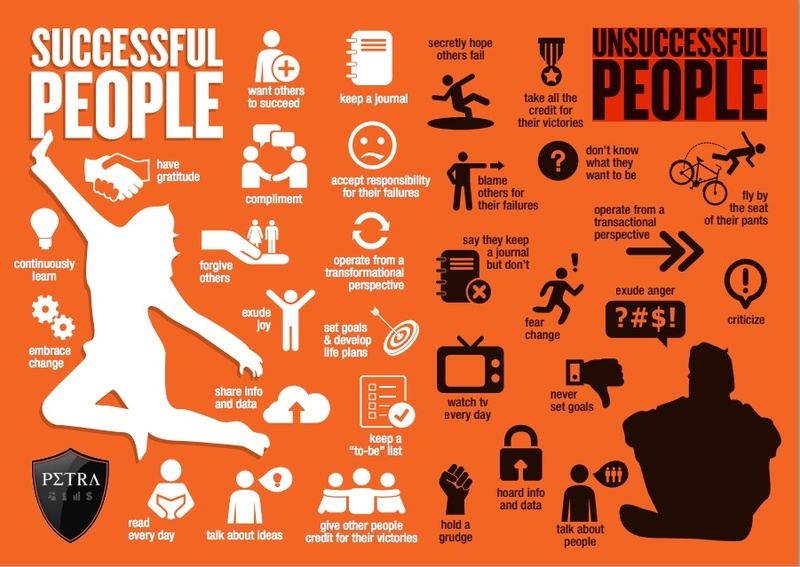 This inspirational infographic illustrates several key traits of successful people – and more importantly, points out the traits you should cultivate in your own life to become more successful. 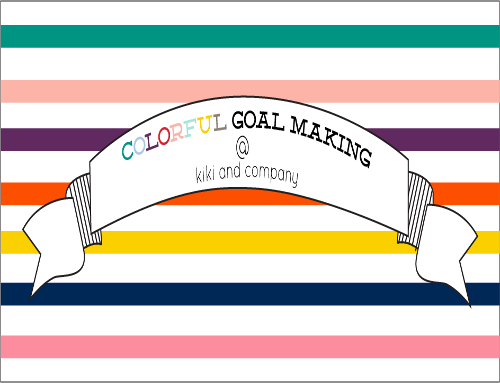 It has been said that a goal not written down is just a wish, let these helpful little charts let you stop wishing and start doing. The idea behind them is to turn your goal into a habit. It is said that a habit is formed after 21 days. So simply write your goal at the top, then each day, cut off your success!